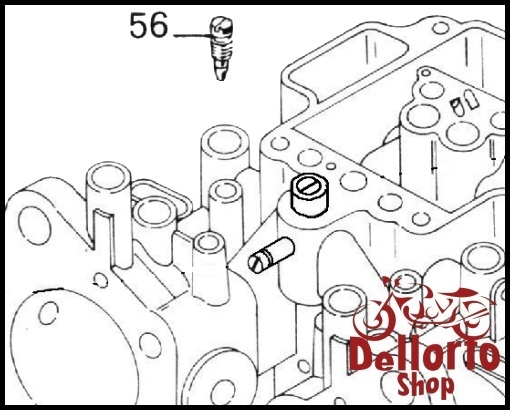 Airbleed Screw for the Dellorto DHLA carburetors. 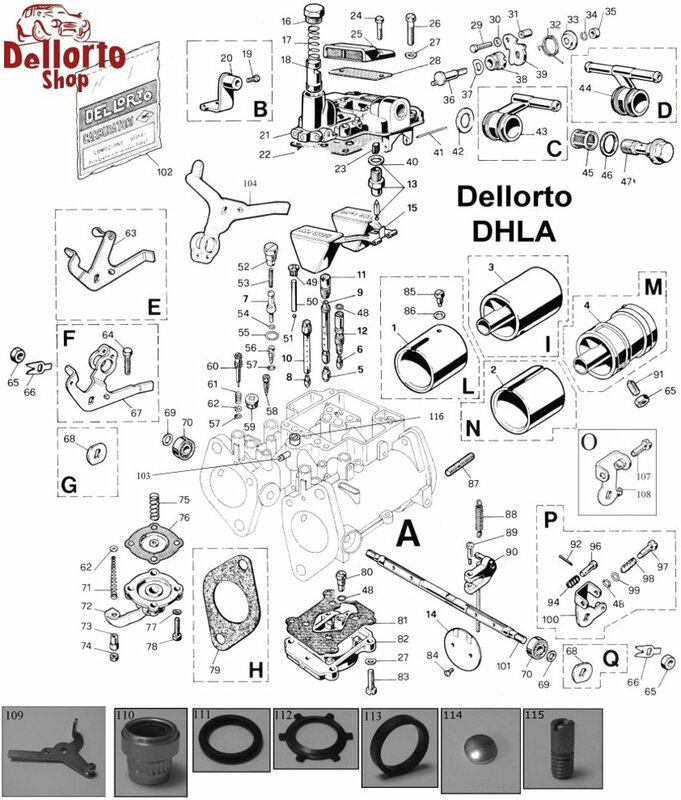 Please note that not every DHLA has these screws fitted. There is a total of 3 variations of these screws so chose yours with care. This particular variation uses locking nut # 2906 which you can order along with it (or separately if you want). It replaces the now discontinued version with the short taper. This version of airbleed screw is most commonly found on early DHLA40E's, DHLA45E's and DHLA40F's. This is item number 56 in the drawing. 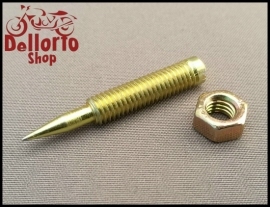 Airbleed Screw with short taper for the Dellorto DHLA carburetors. 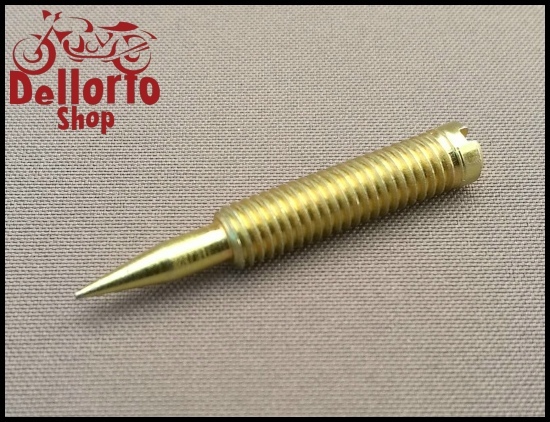 This particular version has been discontinued by Dellorto and has been replaced by the version with the long, sharp taper that you can find HERE. ONLY 2 PCS LEFT IN STOCK!